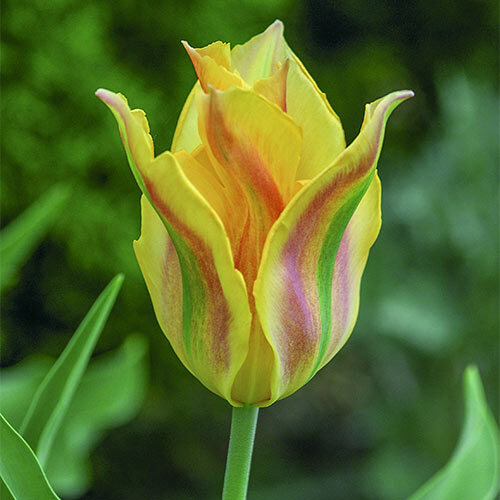 There's a reason this colorful tulip has won multiple awards. The golden-orange blooms are feathered in rich green with reddish-pink banding, making them an excellent choice for sunny borders and planned groupings. Plenty of flower power makes it a reliable producer for both indoor and outdoor use. Great for cut-flower arrangements. Upright, bell or funnel shaped with pointed tips.